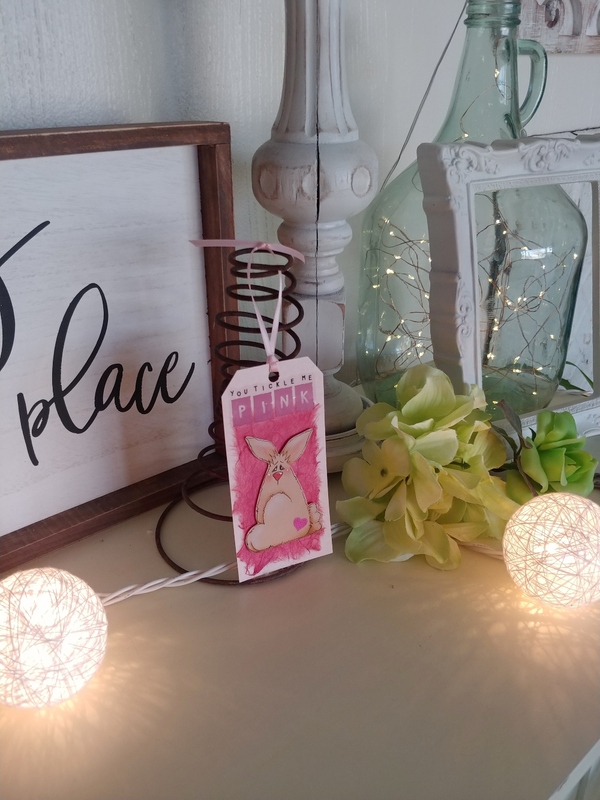 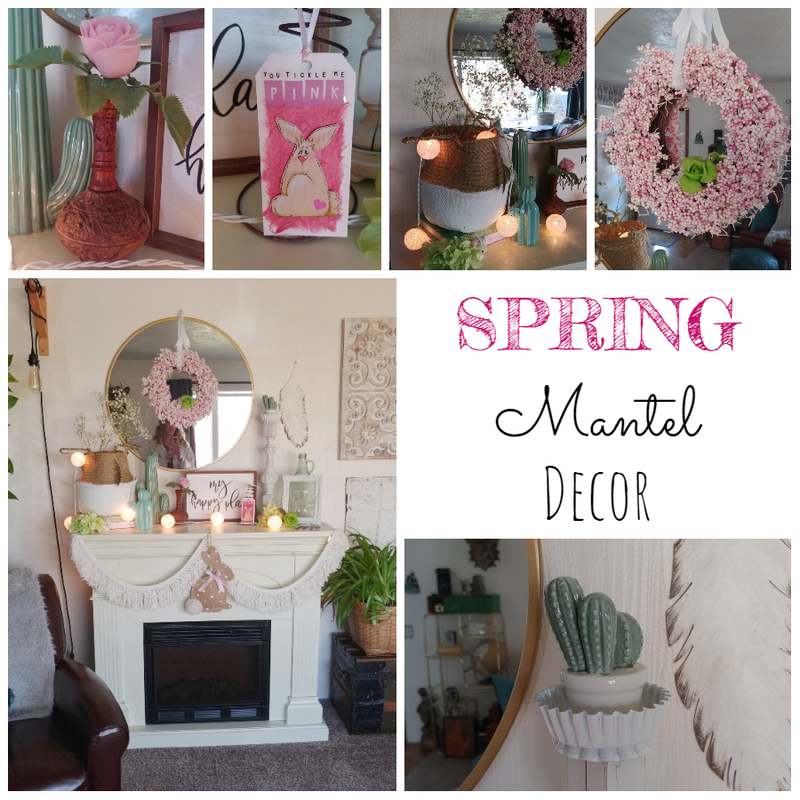 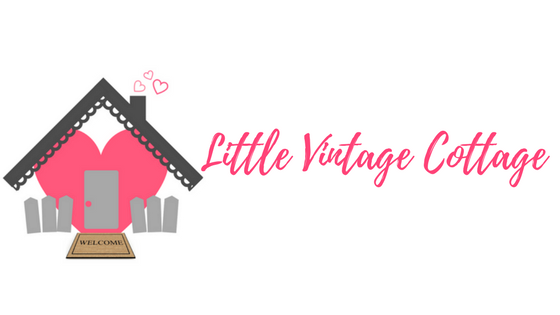 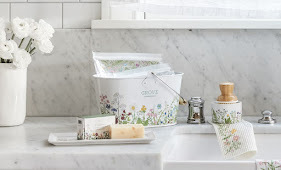 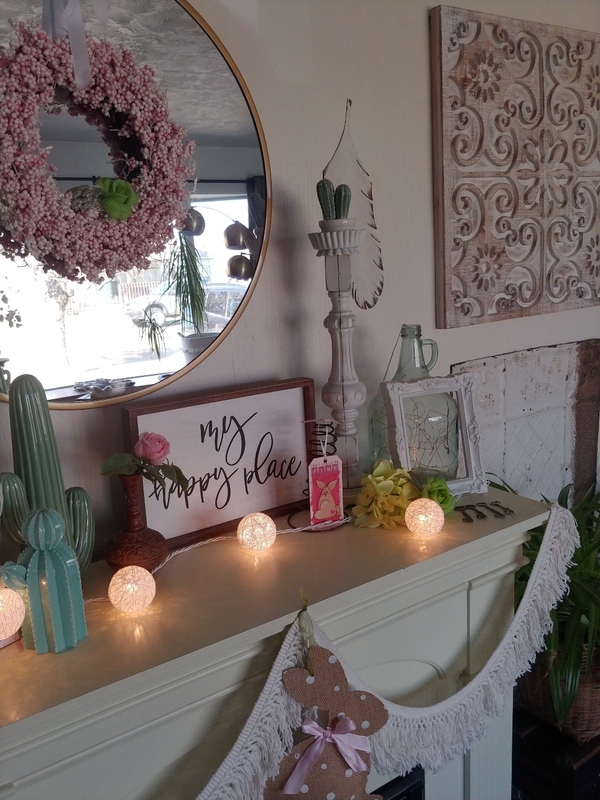 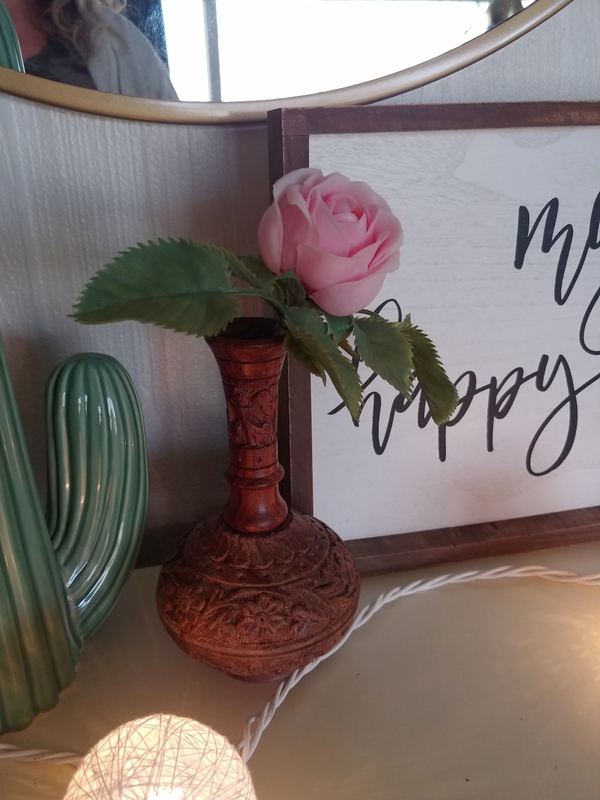 I have a few Easter decorations out but I also wanted to decorate for spring so that when Easter is over I can still have some fun spring decor things out to enjoy for a while. 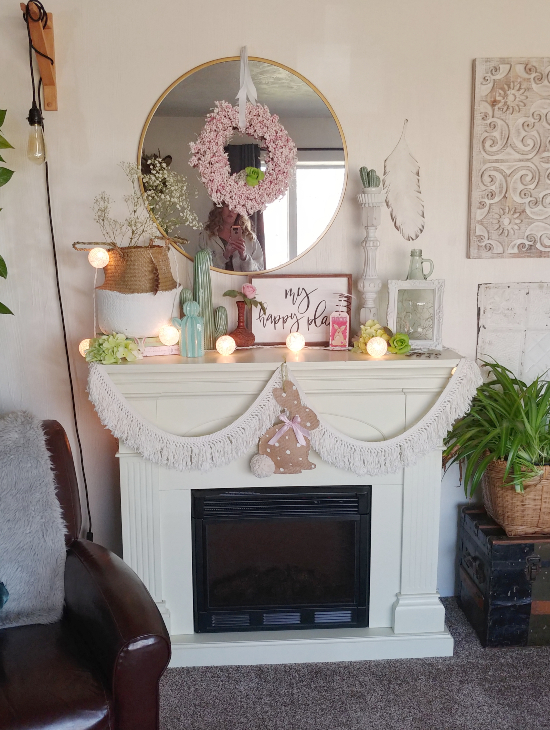 My mantel is one area I've decorated with mostly spring decor with just a couple of touches of Easter. 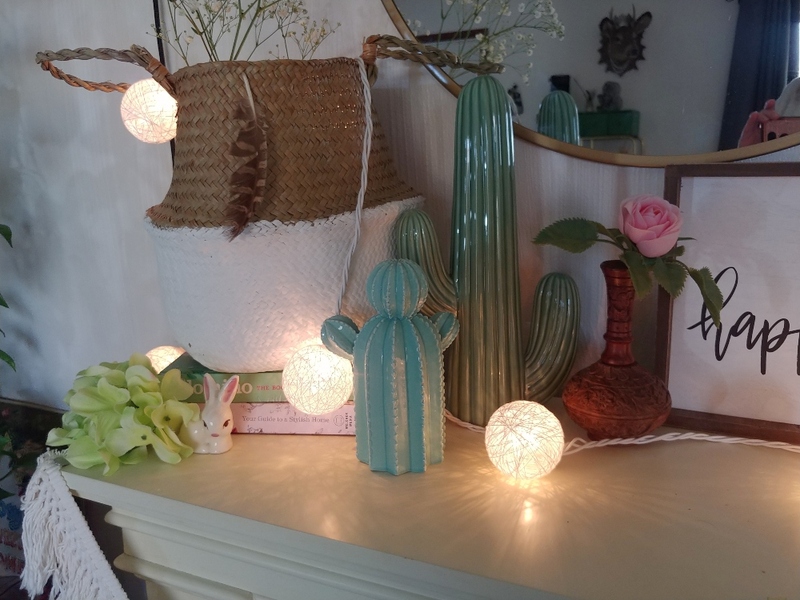 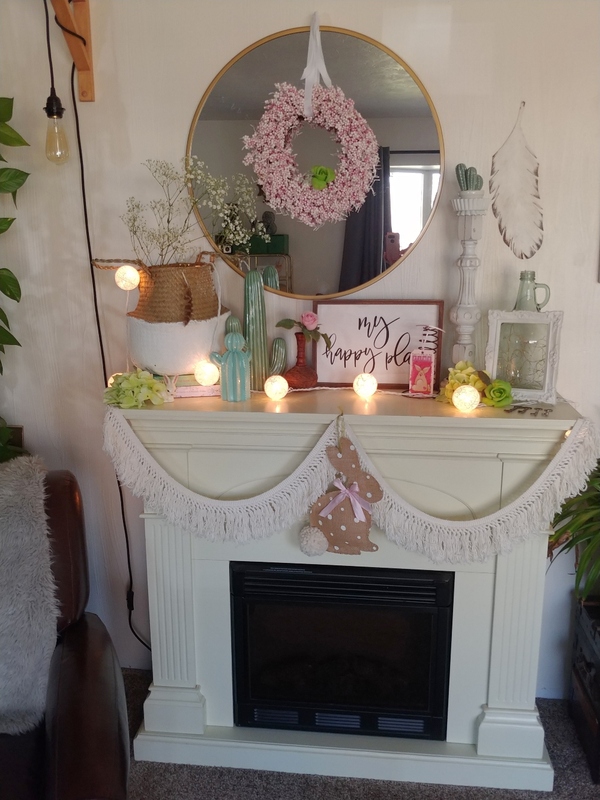 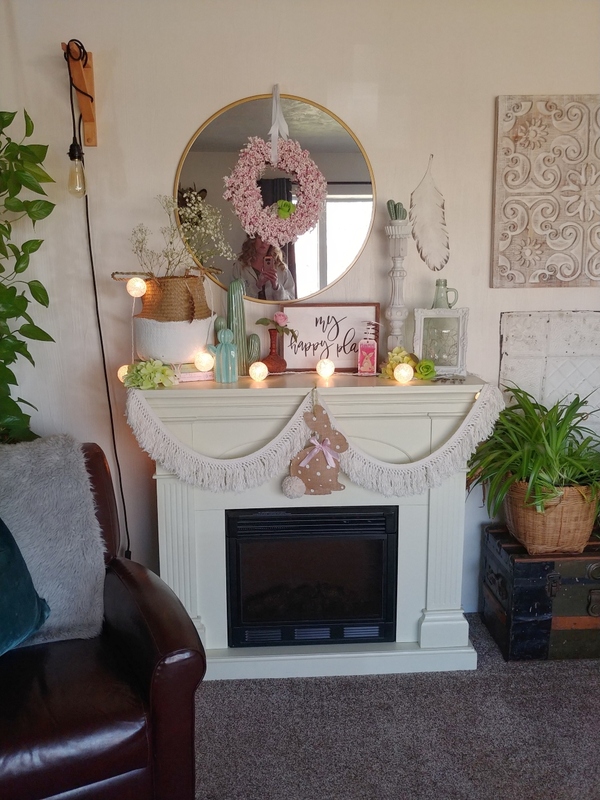 I left the string of lights and a lot of the decor from my Cozy Winter Mantel Decor but I took out some things like the throw in the basket and the candle cozies and gathered up and added my ceramic cactus plants instead for some pretty green color. 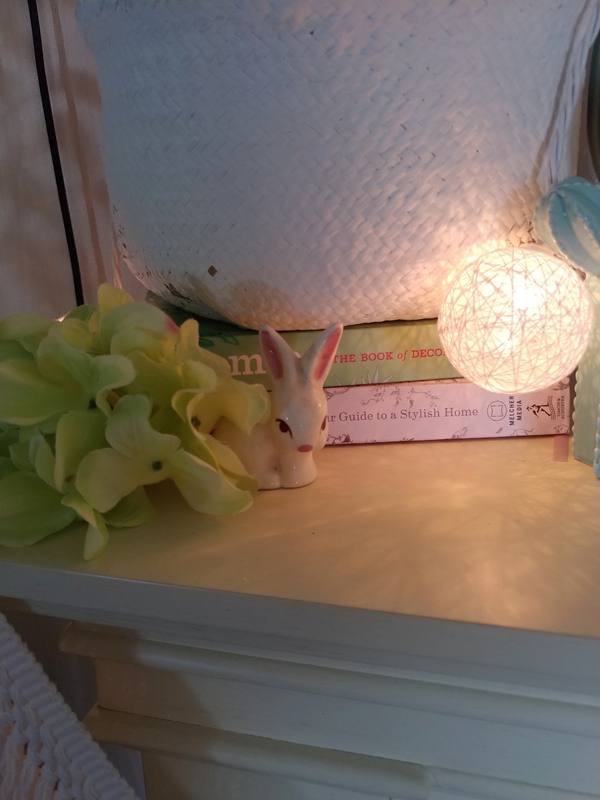 I liked the spring colors of the Domino Home Decor books so I used them under the basket. 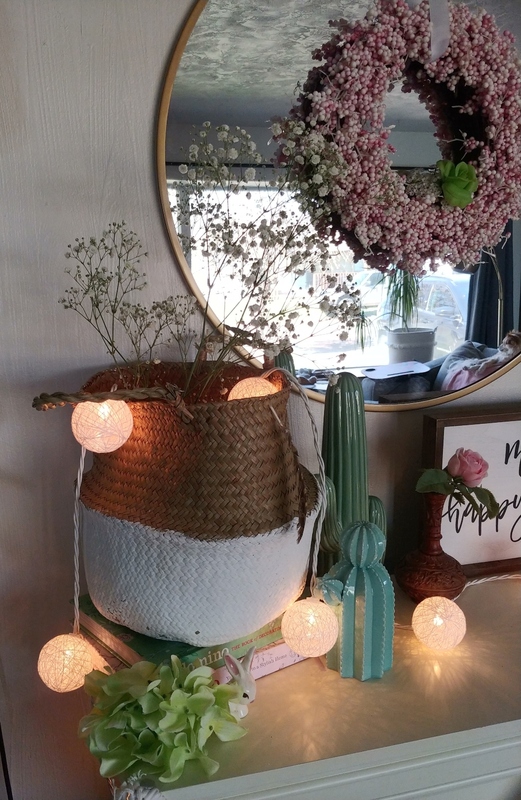 I bought a couple of stems of baby's breath from a local flower shop for the basket. 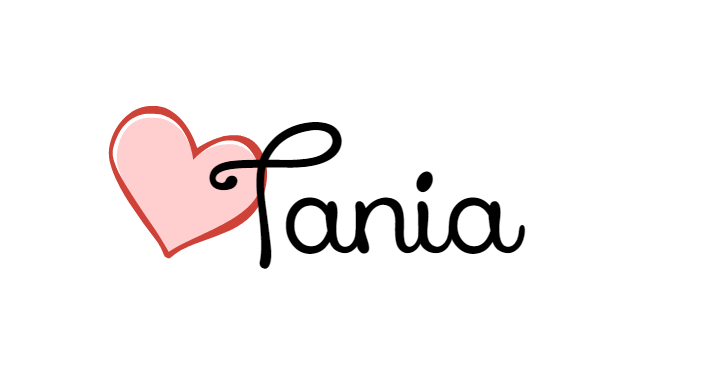 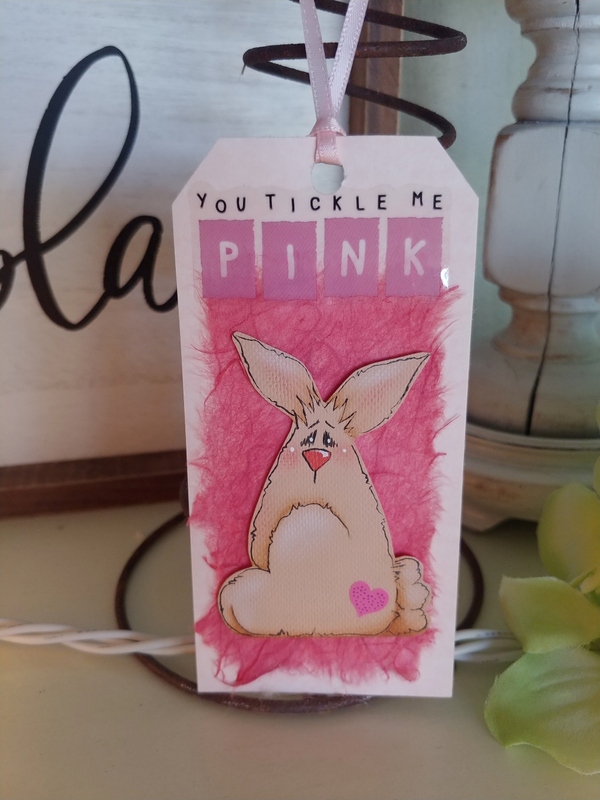 My mom made the cute little tag years ago. 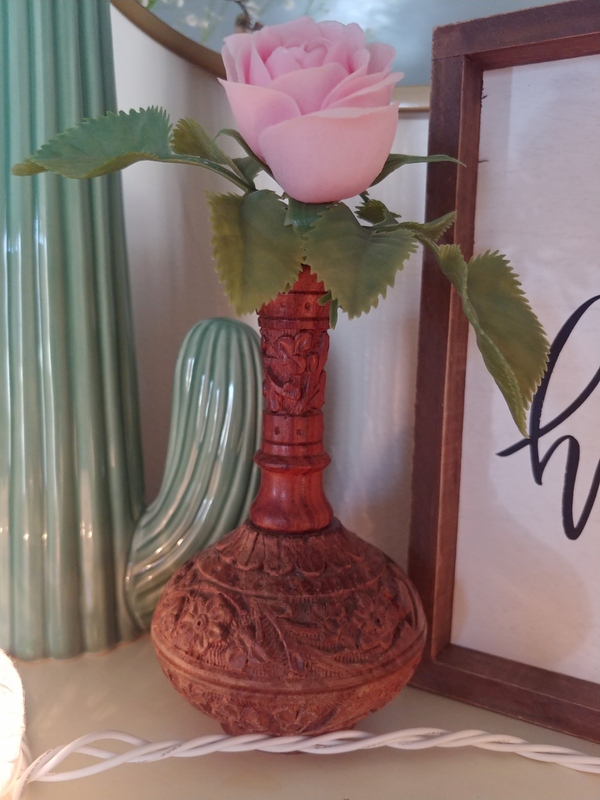 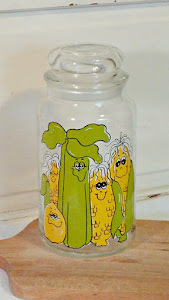 I found this beautiful vase at the thrift store! 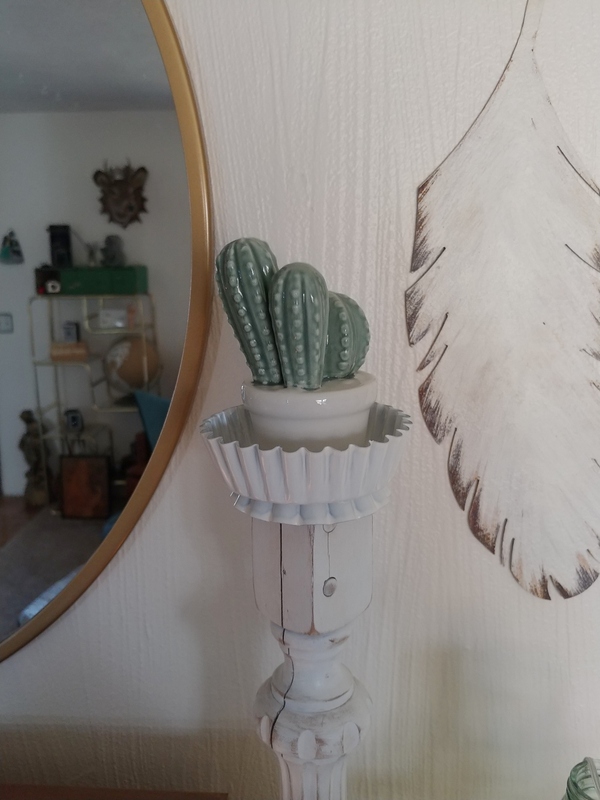 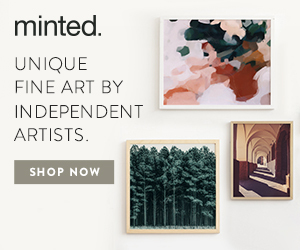 I love the texture it adds! 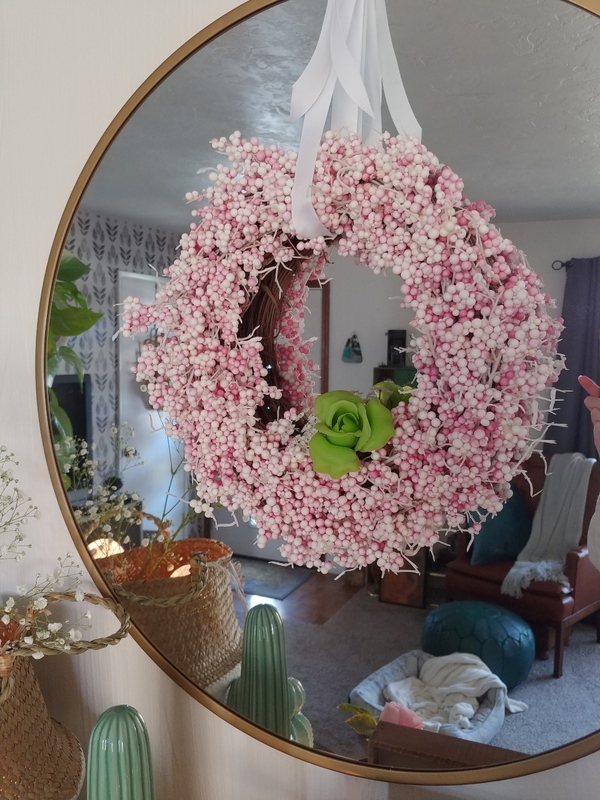 I've had this wreath for years. 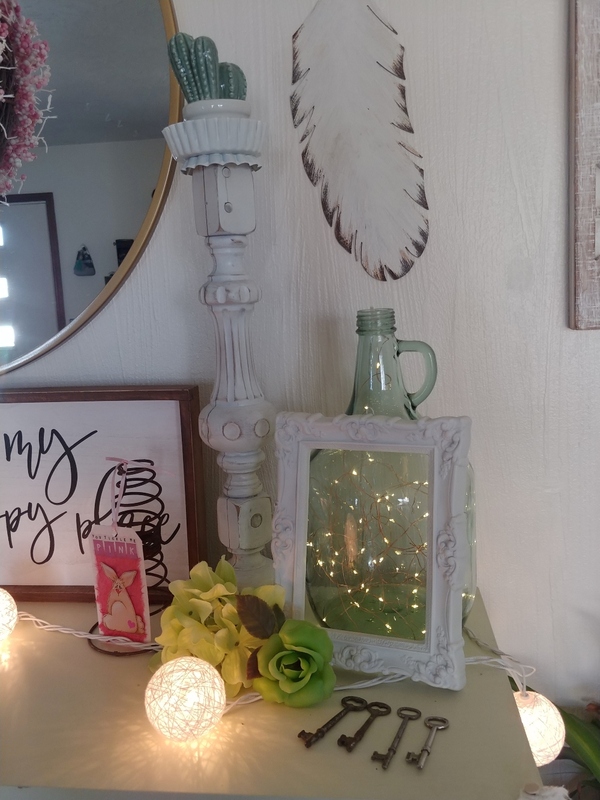 I just added a green plastic flower to it for now. 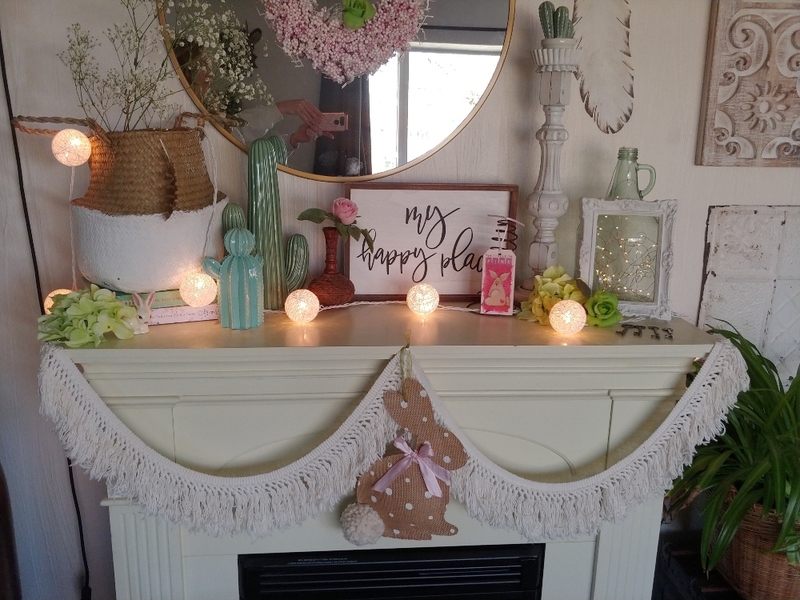 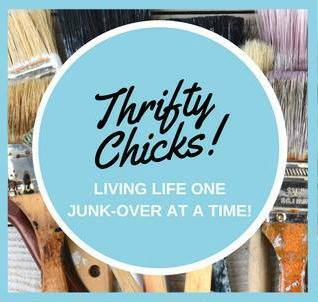 You can see how to make the polka dot burlap bunny here: Dollar Store Bunny Makeover.